A team of researchers has found a formula of nutrients high in antioxidants and other natural components that can help boost the speed at which the brains of older adults processed information, thus improve the cognitive health. 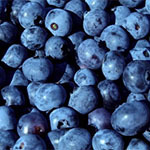 The team at University of South Florida (USF) developed nutritional supplement, containing extracts from blueberries and green tea combined with vitamin D3 and amino acids, including carnosine, which was tested by them in a clinical trial enrolling 105 healthy adults, ages 65 to 85. information, thus improve the cognitive health. Researchers Paula Bickford, PhD, and Brent Small, PhD, teamed up to investigate the effects of a USF-developed, antioxidant-rich nutritional supplement on the cognitive performance of older adults. information, thus improve the cognitive health. The two-month study evaluated the effects of the formula, called NT-020, on the cognitive performance of these older adults, who had no diagnosed memory disorders. information, thus improve the cognitive health. Those randomized to the group of 52 volunteers receiving NT-020 demonstrated improvements in cognitive processing speed, while the 53 volunteers randomized to receive a placebo did not. information, thus improve the cognitive health. Reduced cognitive processing speed, which can slow thinking and learning, has been associated with advancing age, the researchers said. information, thus improve the cognitive health. "After two months, test results showed modest improvements in two measures of cognitive processing speed for those taking NT-020 compared to those taking placebo," said Brent Small, PhD, a professor in USF's School of Aging Studies. information, thus improve the cognitive health. "Processing speed is most often affected early on in the course of cognitive aging. Successful performance in processing tasks often underlies more complex cognitive outcomes, such as memory and verbal ability." information, thus improve the cognitive health. Blueberries, a major ingredient in the NT-020 formula, are rich in polyphenols, a type of antioxidant containing a polyphenolic, or natural phenol substructure. information, thus improve the cognitive health. The study was published in the journal Rejuvenation Research. (ANI) information, thus improve the cognitive health.